German singer-songwriter Ralf Dee is playing a blend of Folk, Folk-rock, Alternative, Indie, Blues and Country. After being a bass player in several bands for years, he started writing his own acoustic songs in 2008. The Release of the first EP followed in 2009. He played solo gigs across Germany and between 2010 and 2012 he also performed with the four piece RALF DEE BAND. They recorded the album “Destination Unknown“, which was released on February 14 2011. When the members of the original band left, he soon focused on the production of his next album “Your Time Is Now“. It came out on January 31 2014. The album was well received on independent music blogs and appreciated for being different from many albums that were released around then. Some of the songs have been played on numerous independent internet radio stations. 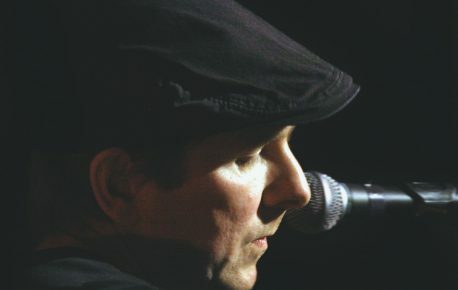 People encouraged him more often to write German lyrics and Ralf Dee liked the idea of combining a bluesy folk style with German words. He wrote new songs and recorded “Glück gehabt“, the first album in German language. It was released on August 11 2017.